25hours is a dynamic hotel concept that seeks to find contemporary answers to the needs of an urban, cosmopolitan traveller through service with an upbeat personality and charm. The brand focuses on individuality, authenticity and personality and designs each of its hotels with a unique style and story following the “You know one, you know none” motto. The 25hours Hotel Company was founded by the initiators Stephan Gerhard, Ardi Goldman, Christoph Hoffmann and Kai Hollmann. There are currently eight hotels in Hamburg, Frankfurt, Berlin, Zurich and Vienna being managed under the 25hours brand. 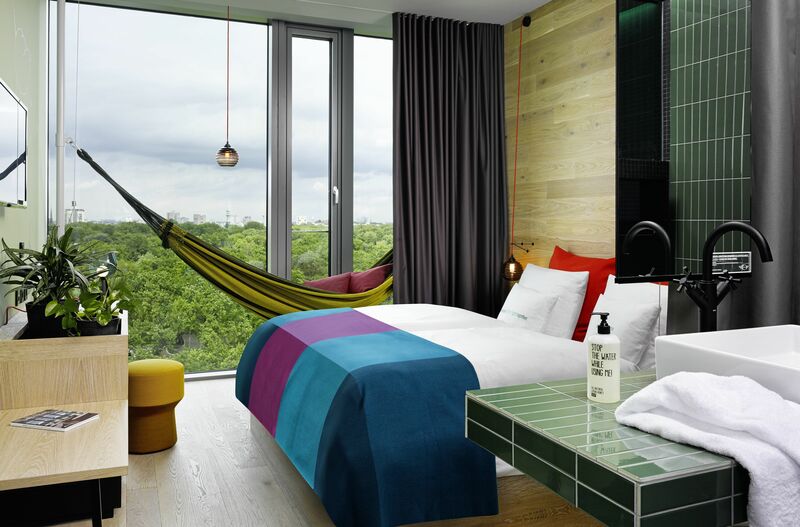 A further five hotels are planned to open in the next two years in Zurich, Munich, Cologne, Düsseldorf and Paris.